Questions for the Open G-Center: Am I in the right place? Does my environment support me? Am I surrounded by people who inspire me to fulfill my authentic desires? Do I feel lovable? Am I motivated by a need to show my love-worthiness? Am I trying to lock myself into a direction that doesn’t feel right? How I experience myself changes depending on who I am with. I choose to surround myself with people who feel good to me. Place is very important to me and I create an environment that soothes me. When I am in the right place, the right opportunities come to me. I am who I am. I express myself in all that I do. I celebrate the magnificence of who I am. The G-Center is the Center for love and direction in the chart. It is a key Center for creating abundance in your life, because the G-Center contains the mechanics for the Law of Attraction. Contained within the G-Center is a magnetic monopole. A magnetic monopole is a magnet that has only one pole and only attracts. We never push abundance away. We only attract to the degree to which we are energetically attuned to our abundance. Scientists are now able to actually measure a magnetic resonance field around the heart in the body. The heart is partially located in the G-Center. I believe that, as we do more research in this area that we will discover, even more deeply, the magnetic or attractive powers of the heart. These 8 energies are derived from the 8 Gates located on the G-Center. You will attract into your life experiences that will teach you how to love yourself, be powerful, express yourself authentically, let go of and learn from the past, how to surrender and trust a spiritual force that is bigger than your individual self, love and take care of your body, how to trust (and allow) the Universal abundant flow of life and to make choices that, not only take care of yourself, but serve humanity. 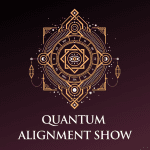 When we are out of alignment with any of these energies, our magnetic monopole will attract into our lives opportunities and lessons that are designed to teach us how to be more in alignment with who we really are; powerful, loving, abundant beings. 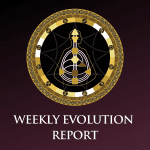 If you’re not experiencing what you want in your life and you feel like your abundance magnet is “broken” or that the Law of Attraction doesn’t work for you, it may be that the infinite and abundant wisdom of the Universe is bringing you the exact experience you need to master yourself. We often talk about the mind/body connection and the importance of integrating the mind and the body. Physiologists and neurologists are discovering that there is a surprising connection between the digestive system, the heart and the mind. The Vagus nerve connects all three of these key parts of the body. In the Human Design chart we see a profound energy connection between the mind, the emotions (which are located in the gut) and the heart. The nexus of manifesting is the G-Center. 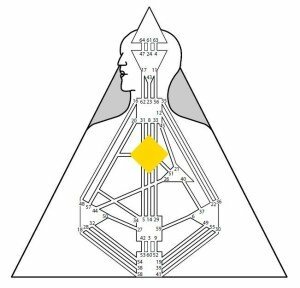 The energy of the mind and the vibration of the Emotional Solar Plexus tunes the magnetic force in the G-Center and causes you to attract into your life experiences that are in tune with your G-Center. When the G-Center is open, it makes it more challenging to harmonize your attraction power with what is authentic to you. An open G-Center will take in the direction and identity of others in a deep and sensitive way. The beauty and wisdom of this openness is that when the G-Center is open there is the potential for tremendous wisdom about love, direction and about others. But, if you don’t understand that your own destiny, identity and direction can be energetically deeply influenced by the people you are with, it can make it very difficult for you to find your right direction in life. The open G-Center has the potential to go in many, many directions in life. It’s supposed to. Imagine that life is like a restaurant. The defined G-Center can eat at the Restaurant of Life and order of the menu. There is a fixed selection or potential for direction for the defined G-Center. The open G-Center goes to the Restaurant of Life and selects menu options from the mega buffet. There are endless choices when you have an open G-Center. The right choices are determined by following your Human Design strategy for your Type. Geography can also help align the direction of the open G-Center. When the G-Center is open, being in the right geographical location can help you attract what you want in your life. The open G-Center has to feel good where they are. When they love where they live and love who they are with, life works. If someone with an open G-Center feels stuck or like nothing is moving in their life, it might be that they are in the wrong place or with the wrong people. Because the underlying motivation of the open G-Center is to question their love-worthiness, an open G-Center person sometimes makes choices to prove their lovability. That means they can get into patterns of doing things that they don’t really want to do in order to “keep” someone’s love. In addition, because an open G-Center feels other people’s identities deeply, it’s easy to take on someone else’s identity and lose yourself and your direction in other people. Taking time alone and away from other people’s energy can help the open G-Center recalibrate back to their authentic direction. To create true and lasting abundance when you have an open G-Center, you have to accept that your life will naturally take you in many directions and that you have to be in the right place with the right people to make things work. When all of these factors line up and you love yourself deeply, your G-Center naturally attracts into your life experiences and abundance that reflects the love that is you.